"At center stage, the ever-popular, multi-talented entertainer, Miss Betty Rydell," is an introduction that has been heard in clubs, fairs, conventions, theaters, churches, radio and television throughout the United States, Canada, Europe and Central America. Singing a variety of songs and playing many musical instruments, Betty has performed with Barbara Mandrell, Charlie Pride, Conway Twitty, Ernest Tubb, Tex Ritter, Carl Perkins, Marvin Rainwater and LeRoy Van Dyke plus other name performers. Entertainment agents have compared Betty to Barbara Mandrell and Bobby Vinton. Betty enjoys most performing before a live audience. She strives to do more than just sing songs to the audience. Betty has added many new exciting routines to her show like the new tribute to the Everly Brothers that she sings with her husband Ed who increasingly has become a part of the show. Together, they do several husband/wife comedy routines plus sing numerous harmony songs. Also, they perform comedy songs like "The Winter Texan Tribute", "The Fish Song" and "The Funeral Song". Betty also still does the parodies of "Are You Lonesome Tonight" and "Help Me Make it Through the Night". There are several Gospel songs in each show including the most requested, "On My Father's Side". Each year Betty strives to add more "tribute" medleys like the upcoming Beatles and Ray Price tributes. 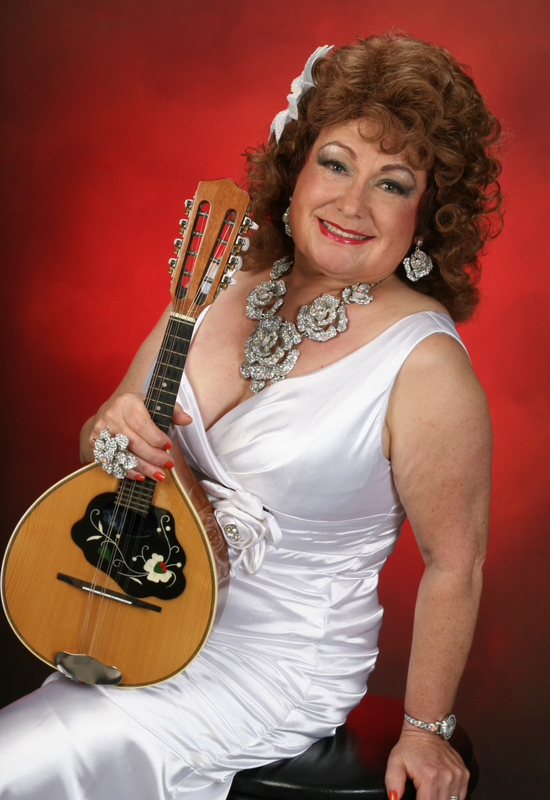 Betty has several times won awards in the Texas Rio Grande Valley entertainer competitions such as the F.A.M.E. Female Vocalist of the year and the Winter Texan Times Female Entertainer of the year. Betty Rydell Show audiences always go home totally entertained. Her goal is to entertain, to include the audience, to help them forget their problems and enjoy themselves. Some people are born to entertain and Betty Rydell is one of them. She never wanted to be anything else. Back home on her family's dairy farm in Alexandria, MN, she staged "oprys" in the backyard. By age 8 she had learned to yodel. She made her first appearance on radio at age 11 on Alexandria's radio station KXRA playing her guitar ands singing, "I Love You Because." Although she has played several venues, she prefers to play before a live audience. She is a multi-talented musician who plays several instruments in addition to guitar, including fiddle, mandolin, banjo, ukulele, melodica, and keyboard. She can perform yodeling songs, and sings the songs of artists such as Nancy Sinatra, Connie Francis, and a host other artists. Betty also enjoys doing skits to act out the words of songs. She has been doing the Red Dress skit to "She's Got You" for several years. She is now doing "Are You Lonesome Tonight?" a spoof on getting old. And she and Ed did "Baby, It's Cold Outside" back home in Minnesota where it got great reviews. Betty has performed with Barbara Mandrell, Charlie Pride, Conway Twitty, Ernest Tubb, Tex Ritter, Carl Perkins, Marvin Rainwater and LeRoy Van Dyke and many other notable country stars during her career. An award-winning artist, Rydell has won the coveted Entertainer of The Year Award presented by the Country Entertainers Association of the Upper Midwest, and has been inducted into the Minnesota Rock and Country Hall of Fame. Readers named Betty Rydell Best Female Entertainer of the Year in a survey by the Winter Texan Times, in both 2011 and 2012. 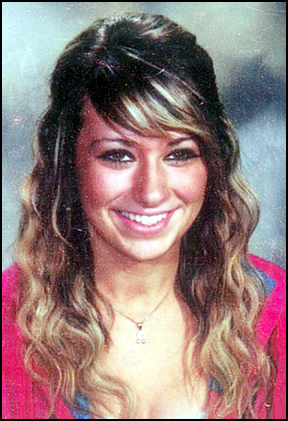 In 2012, Rydell was inducted into F.A.M.E. (Families Advocating Moral Entertainment) while in the Rio Grande Valley, and in September that year Betty was inducted into the National Traditional Country Music Association's "American Old Time Music Hall of Fame" in La Mars, Iowa. 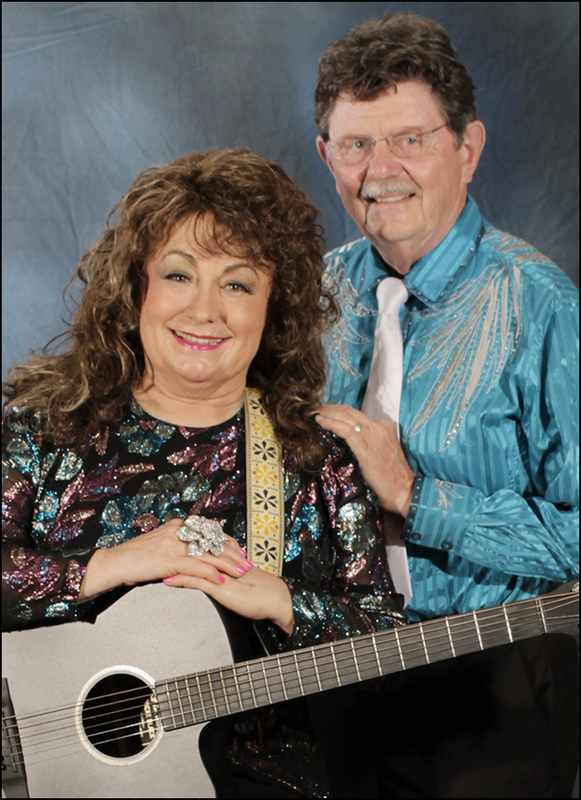 Recently, Betty and husband, Ed "Rydell" Bearse, recorded a CD called "We Could," based on an old Jimmy Dickens' Song. He sang lead on all but two songs where Betty was lead singer. Betty and granddaughter, Randi Rae,(pictured here) sang harmony to Ed's songs. To their surprise, the National Traditional Country Music Association named it "Country Duet of the Year" in August of 2014. Betty and Ed are thrilled with the honor. Randi Rae has her own rock band, so they do not know if she is bragging about singing with her grandparents on their album that won country duet of the year. They are afraid it might not fit the image she is trying to create. "We are in the process of creating more and more tributes because they are so popular in the Valley," said Ed. "Audiences in the Valley seem to really enjoy the tributes that honor the performers they loved in prior years". Ed and Betty are now doing tributes to the Everly Brothers and Betty is doing one for Ray Price. They are also working on the Beatles. "It's a little scary to do the Everly Brothers," states Ed. "When we look out into the audience everyone is singing along with us so they will know if we miss a word". You will find this multi talented female vocalist and instrumentalist performing in Minnesota, across the midwest and in the Rio Grande Valley of South Texas. During the winter months Betty Rydell and her husband, Ed Bearse, entertain Winter Texans in the RV Mobile home Resort parks in the Rio Grande Valley, RGV, of South Texas. In the spring and summer you can find them performing in Minnesota and all across the Midwest in senior care centers, private parties and various festivals in the upper Midwest. Betty Rydell is an award winning female vocalist and Hall of Fame inductee who plays a variety of instruments including guitar, banjo, fiddle, mandolin, melodica, keyboard and trumpet. She sings classic country favorites and includes tributes to early rock and roll groups such as the Everly Brothers.